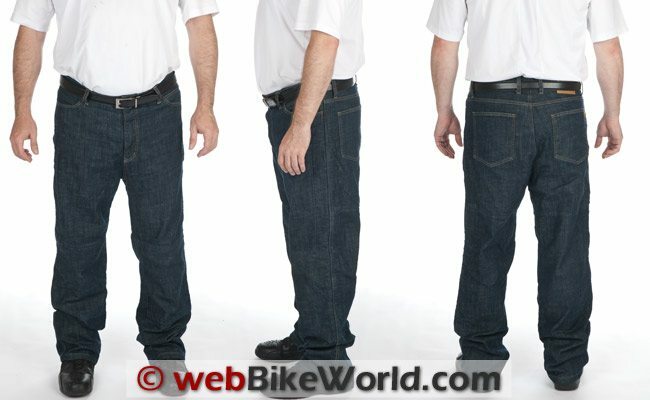 A very protective and comfortable pair of jeans for motorcycle riding that suffers from some fit issues. 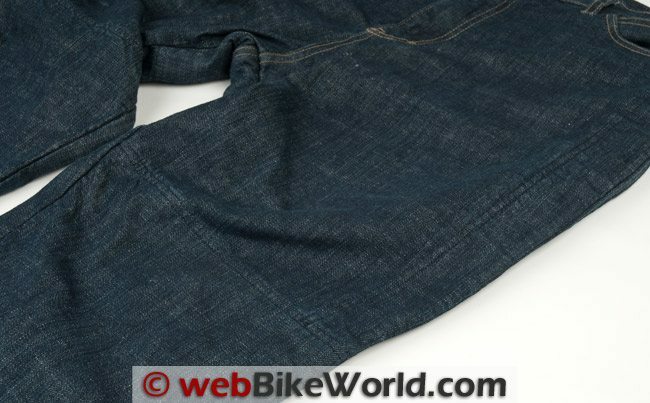 Having reviewed several motorcycle jeans or “jean-like” pants over the past couple of years for webBikeWorld, our Editor asked me to review a new pair of riding jeans that are now on the market. Drayko jeans are touted as being the only motorcycle jeans that are CE-approved for abrasion, burst and tear resistance. They achieve this through the use of some very tough, high-tech fabrics. One of which — Kevlar — is nearly a household name in the tough materials arena. 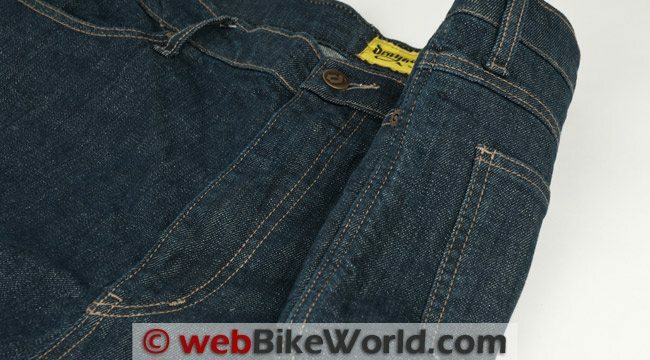 But the other, Dyneema, I had not heard of before I started researching the Drayko jeans. I was intrigued by this and also by the CE rating these jeans carry, so of course I started my research into the company that makes them…which wasn’t as easy as I would have guessed. The Drayko Drifter jeans turned out to be a bit of an enigma, or I should say more specifically that the Drayko company was a bit hard to track down. 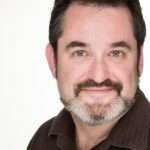 But just as I was writing this review, the Drayko.com website is now up and running for public consumption. I did a little digging and found that the Drayko.com web address is owned by Draggin Jeans. Draggin Jeans is a more familiar name to motorcyclists; they are an Australian company that is, strangely enough, not affiliated with the American company called Draggin’ Jeans (note the apostrophe). A quick Skype call to Draggin Jeans in Australia confirmed my suspicion and garnered some additional information about their products as well. 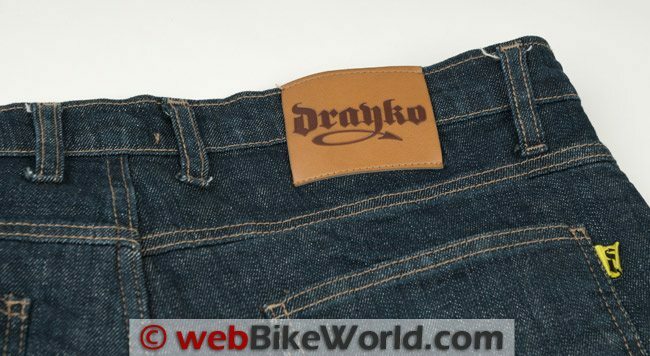 Drayko is the brand name used by Draggin Jeans Australia for products sold in the U.S.A. Turns out I was speaking with their Operations Manager, Nathan, and he was able to confirm that the Drayko.com website is their web presence and Drayko is also the brand name for their products here in the U.S.A. I noticed that the company makes quite an extensive line of pants which use the Dyneema material and he told me that by next season they will be bringing 5 lines of their pants here to the U.S.A. under the Drayko name. Three views of the Drayko Drifter Jeans. The Drayko Drifter jeans are rather unassuming when you first take them out of the package. They are available in just one color, dark blue, and the overall design is very simple and simple is good. One thing that threw me off initially is that the coin pocket is on the left side instead of the right. But since these are motorcycle-specific jeans, it makes sense, as you can use the left hand to reach into the coin pocket while your right hand is still on the throttle. Or brakes. Unlike some of the motorcycle specific or “tough” jeans and dungarees I’ve reviewed that used triple stitching on the main seams, the Drayko Drifter jeans appear to have only double stitching; more on that in a bit. The stitching itself is very evenly spaced and well done except for a few errant white threads at the base of some of the belt loops. No, the photo is not reversed. The coin pocket is on the left side of the Drayko Drifter jeans. 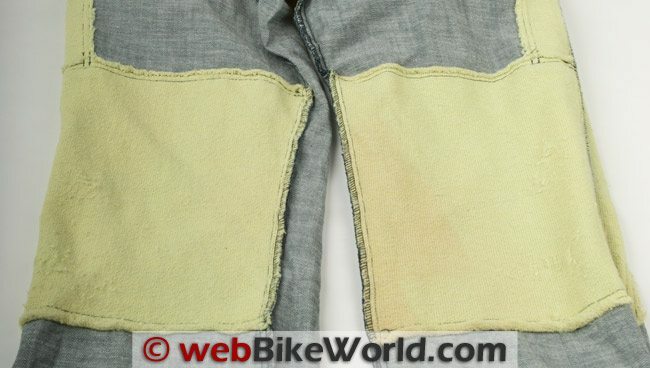 Most of the motorcycle-specific jeans include abrasion-resistant panels and sometimes the extra material is pretty obvious, as the seams that outline them are very visible. The Drayko Drifter jeans have a very dark thread to sew these panels in place, so unless one looks closely the pants look pretty much like any other pair of street-oriented blue jeans. This contributes to the unassuming look when they first come out of the package. Turn the Drayko Drifter jeans inside-out though and there’s no mistaking the fact that these aren’t a pair of jeans that are going to have a gaping hole in the knee anytime soon. 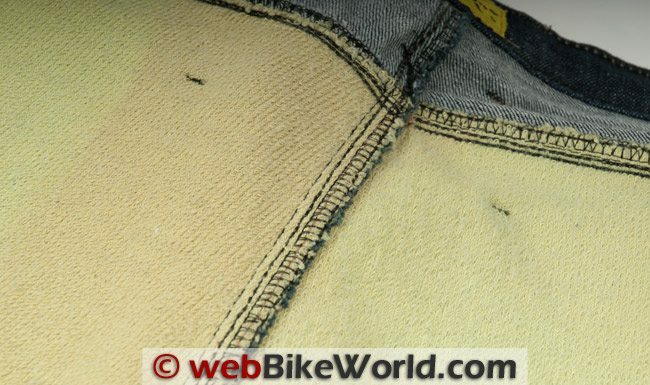 The entire area of the seat as well as the knees are covered in a thick yellow-colored material that is a combination of Kevlar and Dyneema. This is the where it all gets interesting. Kevlar is a pretty recognizable name in the tough materials field but Dyneema was a new one to me. (Editor’s Note: Dyneema is used in several motorcycle-related products, including helmets. Here’s a webBikeWorld search result for the word “dyneema”). Draggin Jeans says that Dyneema is “The world’s strongest fiber” and the Dyneema website echoes this claim. Some of the benefits of this material (taken from the Dyneema website) include the claims that it is “15 times stronger than steel”; that it has “excellent chemical resistance”; it’s moisture resistant (hyrdophobic) and other claims. That’s quite a list! Other aspects include a high thermal conductivity compared to Aramid and similar fibers which are supposed to draw heat away from your skin rather than insulate — a good feature to have with the high temperatures we’ve been experiencing here in the U.S.A. this summer. Back to the pants in question and looking at the inside of the Drayko Drifter jeans reveals more stitching on the inside of the main external seams. There is a third row of stitching along with another wide set stitch that secures the panels to the denim material on the inside. The panels themselves are composed of a combination of Kevlar and Dyneema, which resemble a tufted micro-fiber washcloth or rag. Though not quite as soft as said washcloth, the material feels just OK against the skin. A bit softer feel would be welcome for all-day wearing but you pay for your protection in some loss of comfort and this is a minor cost. Speaking of protection, the Drayko Drifter jeans are supposed to “meet” the CE rating for abrasion resistance and burst resistance. 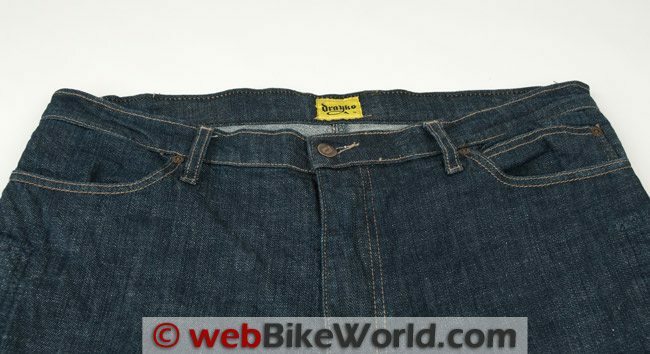 To receive the CE rating, the material needs to be able to withstand road abrasion for up to 4 seconds without wearing through and the materials used in the Drayko Drifter jeans lasted 4.4 seconds, according to the company, and the jeans would have to be certified by an independent approved testing lab. Kevlar and Dyneema lining in the knee areas. To demonstrate this, Drayko has some videos on their site showing the material being put through the CE testing as well as a video showing a live tester being dragged behind a motorcycle for quite a distance and then showing his rear to the camera. Personally, I’ll take their word (and images) for it as I have not had the misfortune to test these protective qualities for myself in a crash! Some of our eagle-eyed readers may note that in the next photo of the label in the jeans, the lining is described as 100% Kevlar. I thought this was odd myself as it is supposed to be a combination of Kevlar and Dyneema. I asked about this while I had the Draggin Jeans representative on the phone and he told me that they use a proprietary combination of the two materials and didn’t want to put the exact ratio on the label of the two materials used. They did tell me how one could tell what was what. Looking closely at the material one can see that there are yellow “loops” in the weave. Those are the Kevlar fibers and the white, vertical threads (hard to distinguish in the photos) are the Dyneema fibers. Close up of the information label showing the 100% Kevlar lining. But where’s the Dyneema? The Drayko Drifter jeans use the standard button and zipper combination to fasten to them in the front. The zipper does not display any branding and it definitely is not as smooth as a quality zipper, such as those from YKK. 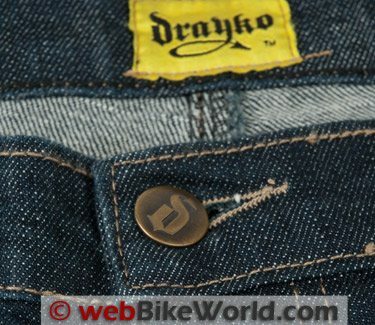 The fastening button has the Drayko “D” logo embossed on it and aside from the leather Drayko patch at the rear in the belt line and a small “D” logo tab sewn into the seam on the right rear pocket, there is no other “in your face” branding on the jeans. Overall the I would consider the construction good and would maybe go as far as very good, if it were not for the stray threads around the belt loops and the middling quality of the zipper. Extra stitching for the lining is very subtle in appearance. First off, let me say that the Drayko Drifter jeans run a little larger than the label claims. The size 36 waist jeans I ordered actually measured just slightly less than 37.5 inches, and that’s before they are stretched. While I was speaking with Draggin Jeans sales manager, Johnny, I was asked if this generous sizing was typical or if I had just happened upon a one-off issue. He told me that they do tend to run a bit large so one should keep this in mind if you elect to order a pair for yourself. Stretch also needs to be factored in when thinking about size, as the denim in the Drayko Drifter jeans is very stretchy compared to most every pair of jeans (motorcycle specific or otherwise) that I have worn. You can get nearly an extra inch of waist when they stretch out in fact, which can be rather handy if you’re one of the “Ride to Eat, Eat to Ride” crowd. This stretching property of the Drayko jeans does help make them a good companion for long rides as well as for wearing once you’re done riding. The denim itself feels soft and the stretch characteristic allows for plenty of freedom of movement, whether folding yourself against the fuel tank or lying back with your feet forward on a cruiser. The Drayko Drifter jeans are available only in a 34″ length and one is expected to have them hemmed to the correct length to fit properly. This is a minor inconvenience, because it may be a couple of days after you get them before you use them depending who does the hemming for you. The upside is that once done they will be exactly where one wants them. Stitching on the outside looks average but inside it’s another story. In my case I had them adjusted to a 31″ length instead of my normal 30″ size. This provides a bit of extra coverage when seated on the bike so they still fall around my boots rather than sitting right at the top of them. The Drayko Drifter jeans are a bit of a loose fit by design as far as the overall cut, but they are still what I consider a straight leg style jean; they neither flare out nor do they taper in. The leg openings at 18″ are knee/shin guard friendly and I was able to easily fit and remove myShift Racing Enforcer Knee Guards (review) by just pulling the legs up over my knees. Overall, the fit is good and might have been better if I knew to order a little smaller in the waist. 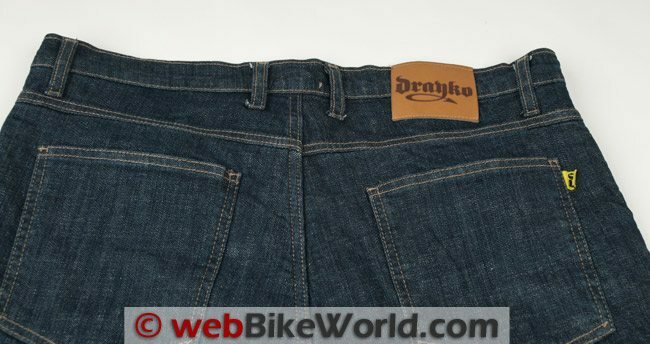 But there is one other issue I had with the fit, which is the Drayko Drifter jeans have a rather high waist. Now I can understand the reasoning as they do start with a long 34″ inseam and would probably not come up so high on the more vertically-gifted wearer. But on my 5’11” frame, however, there is too much material between the crotch and waist. If I scoot them down a bit where most jeans normally hit my waist, the crotch is a scant 3 inches or so from my knees. This presents a bit of a problem once seated on a bike as it of course pushed the crotch back up where it should be, but this leaves me with a lot of material bunched up under my waist when riding. Fortunately, since the material is rather soft and stretchy it is not uncomfortable, but still not an ideal fit. Overall, the fit falls into the “could use improvement” category. Being aware of the sizing issues I’ve laid out should help when ordering a pair but there is good news about the waist height and some other interesting news I learned as I was finishing up this review. Nothing on the seat area gives away the fact that you’re packing “Super Fibers” back there! One concern I had about the Drayko Drifter jeans is the possibility that the protective material might make the jeans warmer in hot weather as it is rather thick. The Dyneema material is supposed to have very good thermal transfer characteristics and it is supposed to draw heat away from the skin. I have had plenty of opportunity in the very hot weather we’re having in the southern United States lately to test this and found they indeed did not keep in heat any more than regular denim jeans. The zipper used on the Drayko jeans could stand improvement. During my conversations with Nathan and Johnny from Draggin Jeans in Australia, they told me about changes that would be taking place with these specific jeans as well as the Drayko brand here in the United States. First and perhaps most pertinent to this review is that the Drayko Drifter jeans will be changing. The Drifter badge will be gone and the jeans will be relabeled as the Drayko Renegade. The Drayko Renegade jeans will be available in the indigo color like the Drifter jeans in this review and they will also be available black. Additionally and most importantly is that the waist will be lower on the Renegade jeans. This, combined with being aware of the generous waist size, means that fit issues should be significantly improved. Along with the changes to the Drifter jeans, there will be more types of jeans available. By the time this article is published you should be able to go to Drayko.com and view the new options available from the company. From what I understand, the Renegade Indigo and Black, Optix, which has a military camo type of pattern, and the Drift jeans will be available. The Drift jeans are different from the Drifter and Renegade jeans in that they are a low waist, loose cut and have a distressed look to them and they will also be available in women’s sizes. Close up of the Kevlar/Dyneema lining. Loose threads around the belt loops and some on the inside around the lining need to be tidied up. The Drayko Drifter jeans seem to be the real thing from a protective standpoint. The generous use of fibers made from Kevlar and Dyneema should offer excellent abrasion and tear resistance. They also are very comfortable even with the addition of the protective lining which covers the potential impact areas very thoroughly. If the fit issues with the high waist on the Drifter jeans are indeed addressed with the new Renegade design, then Drayko has a winner on their hands as far as I’m concerned. They do cost a bit more than other motorcycle-specific jeans at $149.95 but that CE level of protection makes that price seem more reasonable. A pair of these jeans with some good armor underneath should provide very good protection while also maintaining a casual look. From “K.B.” (August 2013): “You might know now, but an Australian took the idea and name of Draggin from the US company then IP’d it globally depriving the US founder of the global rights (when the original US designer was killed in a motorcycle accident). To sell their Australian product in the US, they had it made in China and changed the name and sold it to Western Power Sports (a distributor). From “S.M.” (December 2012): “I purchased a pair of Drayko Drift Ladies Jeans and I loved them, I received numerous comments on how good they looked. Well I purchased these jeans on the 19/11/11 at a Sydney store. In April (?) I was sitting on my bike and lifted my self off the seat to just pull them down a little when they ripped across the thigh. I was with 2 other friends when this happened and they couldn’t believe how easy they tore. “And they’re suppose to protect you?” was one of the statements. I went to a local bike shop … and was informed that there was a bad batch and they would replace them. I rang the outlet where I brought them and they said to return them and they would replace them. I received my new Drayko jeans within a few days of sending them back. On the 1/12/12 I went to put my nearly new Drayko drift jeans on and my foot went straight through them right where the Kevlar is sew across the lower thigh. My sister was with me when this happened. I’ve had $30 jeans last years and in no way am I rough with my clothes. From “S.K.” (September 2011): “It should be noted to your readers that Draggin’ Jeans (Fast Company, U.S.A.), and Draggin’ Jeans (from Australia), are two entirely different and separate entities. There are a lot of stories about their history on the net, but I am not exactly sure what is true. This is important as a reader’s experience with one should not be applied to the other. From “W.M.” (August 2011): “My experience with Draggin Jeans here downunder has been the opposite to “R.D.” (below). Now 6 years old and no sign of the Kevlar liner deteriorating. I find jeans the only thing I can wear in the hot sticky summer months but I wish they included knee and hip pads. From “R.D.” (August 2011): “I have a pair of Draggin Jeans (review) that I bought back in 1999. They were protective for the first year – however, after that the Kevlar had visibly broken down and “powdered” away – despite my diligence in not washing them for as long as I could stand it. Kevlar is well known to break down in exposure to sunlight and moisture! Kevlar is used in bullet-proof vests for Police and is encased in an opaque plastic bag. Even with that precaution, the vest is supposed to be replaced after a certain number of years (I realize pistol bullet protection is different from abrasion).